This scene is taken from the story of The Prodigal Son that is related in the Gospel of St Luke. The story is a parable intended to teach the virtues of repentance and forgiveness. A father divided his lands and wealth between his two sons. The younger son ran off, squandered his share and was forced to work as a swineherd. After many trials, he returns home repentant and asking for forgiveness. Here his father welcomes him back. Stained glass panel depicting the Prodigal's Return. Inscribed 'NOV TAM' on the collar of the figure in the background to the right. Mainly grisaille and yellow stain on white or pinkish glass. On the collar of the figure in the background to the right. 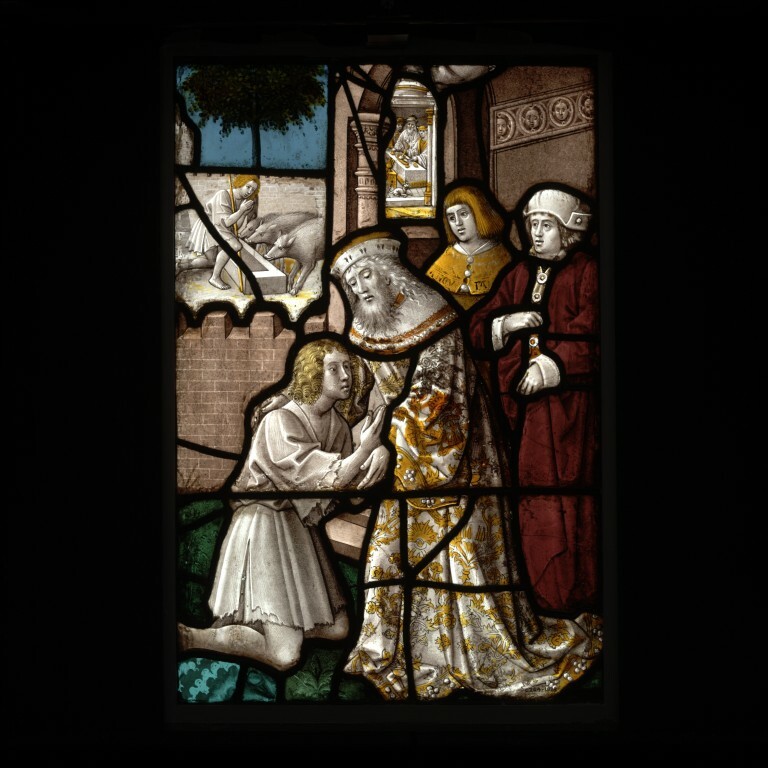 Stained glass panel depicting the Prodigal's Return. German, 16th century.